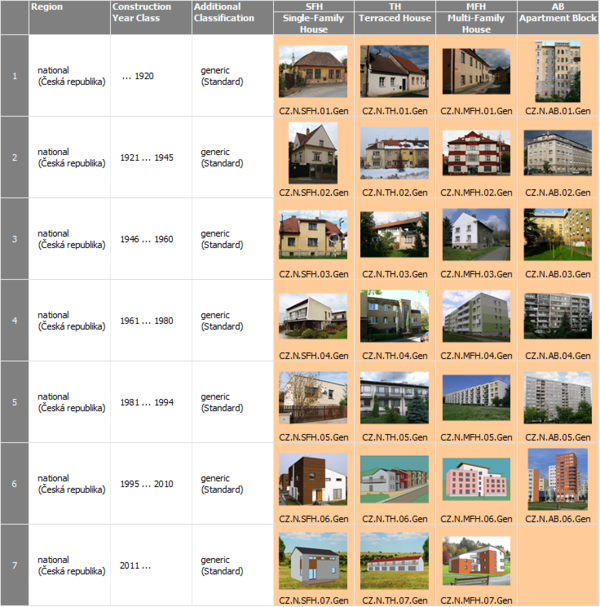 (single family houses and terrace houses) according to construction or refurbishment period. 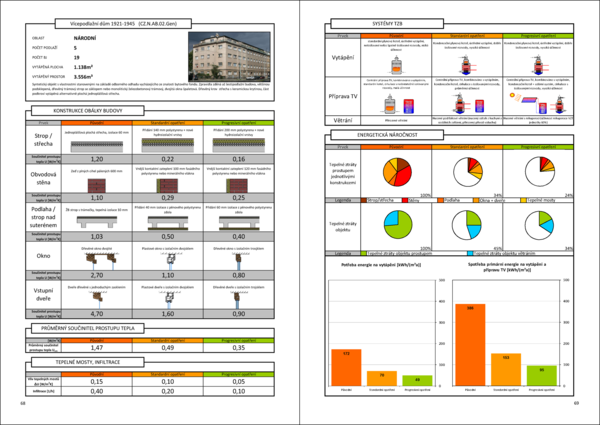 Multi-unit housing (apartment blocks and multi family houses) according to construction or refurbishment period. Refurbishment of dwellings in prefabricated houses. * Correction factor should be applied to the number of non-prefabricated dwellings (843 355). It should be borne in mind that unlike prefabricated houses not all non-prefabricated residential houses are standard refurbishment repairable. The total number of dwellings in non-prefabricated residential houses was reduced to 609 302. Currently in the Czech Republic there are not statistics on heat distribution and storage of space heating systems in residential buildings. Currently in the Czech Republic there are not statistics on heat distribution and storage of domestic hot water systems in residential buildings. Percentage rate Installed area approx. Currently in the Czech Republic there are not statistics on ventilation systems in residential buildings. Currently in the Czech Republic there are not statistics on air-condition systems in residential buildings. Currently in the Czech Republic there are not statistics on control of central heating systems in residential buildings.